Nearly a century ago in the outback of southwestern Australia, an eminent English anthropologist snipped off a dreadlock from an Aborigine at a fuel stop along the just-built transcontinental railroad. The 20 red to brown hairs in that clay-encrusted clump now have produced a genetic profile that researchers say defines how some of the first modern humans populated the world. The ancient DNA links Aborigines to one of the earliest groups of Homo sapiens, a group that had left Africa about 70,000 years ago, then lived in the Middle East before spreading east. A Danish-led team reports this conclusion today in Science in an article describing the first sequencing of an Aborigine genome. The team, led by Eske Willerslev of the University of Copenhagen, extracted the ancient DNA from the lock collected by Alfred Cort Haddon, who founded the anthropology department at the University of Cambridge. The Science study means Aborigines are direct descendants from arguably the earliest known migration of modern humans across Asia to Australia and some nearby islands about 50,000 years ago. "This changes the concept of how the world was populated," says Willerslev. There wasn&apos;t one wave as some have suggested, he says, but at least two migrations: comparisons of the Aborigine genome to other populations indicate that what became Europeans and Asians began their treks across the continents about 30,000 years ago. A German-led team also has published a report today making similar claims about the migrations. They suggest that in addition to the Aborigines, people on the large islands of Papua New Guinea and Bougainville to the north of Australia also are largely descended from the first wave. The team, led by researchers from Max Planck Institute for Evolutionary Anthropology in Leipzig and Harvard University, write in the American Journal of Human Genetics that they did not sequence an entire Aborigine genome. They made their conclusions by comparing nearly 350,000 DNA segments in 33 populations, including Aborigines. These studies provide answers to long-debated questions about the ancestries of many of the world&apos;s peoples. Various researchers — sometimes to highlight their own nationalistic views — have offered different theories on the number of migrations and their ancestors&apos; roles in peopling the world. The two articles published today represent major advances in understanding how the world was populated, but they also force researchers and society to confront the delicate issue of the rights of generations that now cannot provide consent for genetic studies. Checking historical records as best he could now, a tribal historian doubts Haddon took the dreadlock by coercion. Instead, it probably came from a fleeting exchange between a native Australian and an English scientist in 1923, a time when the concept of consent was not as established as now and native peoples were not as vocal in defending their interests. As genetic technology has advanced and become cheaper in the last 20 years, anthropological geneticists have been scouring freezers and museums for samples — like the hairs Haddon stored at Cambridge — that might contain ancient DNA. This is more than about definitively mapping the world&apos;s populations; this work could make discoveries that help fight disease or identify genetic disorders. Because it involves research for which explicit consent may not have been obtained, such projects raise sensitive ethical and legal issues about studies based on technologies only recently available. Some scientists advocate asking for new approval to re-test old samples. Others don&apos;t, or avoid discussing the issue. In June, for example, Willerslev flew to Australia and approached the tribal council in the area where Haddon collected the hair. He asked their consent to publish his Aborigine genome. "Our group would not have published without it," he says. Harvard&apos;s David Reich, the lead author on the other genome study reported today, would not disclose if his team sought new consent regarding the eight Australian Aborigines listed as samples that were re-used in the new analysis. The samples were obtained by a co-author for prior research. In an email — he and other team members declined to be interviewed — Reich said review boards at Harvard and the Max Planck approved of the new studies. Ripon Mahli, a molecular anthropologist at the University of Illinois Urbana/Champaign, said the standards used by the Willerslev group should be followed by others. "They are ahead of the field on ethical, legal and social issues," said Mahli, who has an international reputation for sensitivity to indigenous groups. Down Under, there is a nationwide campaign for such research that goes by these watchwords: free, prior and informed consent. It is designed to correct human rights offenses against Aborigines that run from colonial times all too close to today. The Aborigines in the region where Haddon snipped the dreadlocks were particularly appreciative of the attention to their concerns by Willerslev. "As Professor Willerslev has done, all researchers must recognize that such samples have cultural values above and beyond their scientific values," said a statement from the 13-person Goldfields Land and Sea Council, the Aboriginal corporation in Kalgoorlie. Aborigines in southwest Australia had little to no contact with Europeans until the late 1800s. As a result, their genomes are less likely to include genes from interbreeding, which would complicate the effort of modern sleuths. In the Danish study, the Aborigine genome is that of a young male. Neither his name nor tribe nor clan is known. He is believed to have been trading goods at the since-bulldozed Golden Ridge hamlet about 600 kilometers southeast of Perth when the Trans-Australian train pulled in with Haddon. The soon-to-retire academic had attended the 1923 Pan-Pacific Science Conference in Melbourne and took the railroad west to Perth to experience the outback before returning home to England. Haddon probably never dreamed scientists would be able to dissect cells to their molecular level or draw up ancestries from the hairs he collected. But as we now know, each human cell includes a copy of an individual&apos;s genome, comprised of 3.2 billion so-called base-pairs of DNA. Bone, skin or hair can offer genetic material that can be used to solve a crime or a scientific puzzle, but the older the sample, the more specialized the techniques need to be to get at that information. With time, bacteria degrades DNA strands that break into shorter segments. The perfectly defined order of 3.2 billion base pairs in every cell then are like chopped genetic segments in a basket. For instance, the pieces of the Aborigine&apos;s genome averaged 69 base-pairs per segment. These countless segments — once a 3.2 billion compressed ladder of DNA — then are put back together into the living order of a complete human genome by a computer, which uses templates of previously sequenced human genomes for comparison. Willerslev&apos;s team has perfected a method for hair, which he says better retains ancient DNA than bone. Early last year, he reported how he used the technique to sequence the then-oldest ancient genome - that of a 4,000-year-old paleo-Eskimo who died in Greenland. Tests of the Saqqaq man&apos;s hair, stored in a Copenhagen museum, linked him to the Chukchis of Siberia but not the indigenous people now in western Greenland. Svante Paabo of the Max Planck Institute led that team. Paabo and American Mark Stoneking, also of Max Planck, are senior authors on the Human Genetics report published today. Stoneking declined to be interviewed, joining Reich only in an email for some responses. Stoneking secured the Australian Aborigine samples and others at least 15 years ago for prior studies. At a Society for Molecular Biology and Evolution meeting in July in Kyoto, Stoneking told attendees his group had obtained tribal consent to re-use the Aborigine samples. But since then, sources say, Reich privately told researchers they didn&apos;t have recent tribal consent. Reich and Stoneking refused to discuss the source of those samples. They only cite a 1999 article in the American Journal of Human Genetics as the source of the eight Aborigine samples and others from the region. That article is authored by Stoneking and a Pennsylvania State University doctoral student he then advised, Alan J. Redd, now a genetic anthropologist at the University of Kansas. Redd said that Stoneking provided the samples for the article, which lists 200 Aborigine samples from north and northwest Australia. The publication was the product of his thesis studies from 1995 to 1998 on maternally inherited DNA in Aborigines and people from Papua New Guinea. No issues of consent were discussed then, as best Redd could recall. It&apos;s possible an Australian police official helped. In both the Redd/Stoneking and Reich/Stoneking articles, in the acknowledgements they thank Joy Kuhl. Now deceased, she was a head biologist for the Australian Northern Territory Police forensic service, and a number of unrelated studies note she often provided samples to researchers. 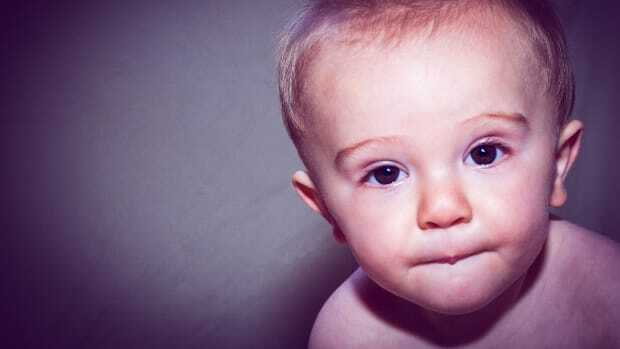 Apart from differences on how far to go in seeking consent, scientists also differ on what they see when looking at some of this new genetic evidence. 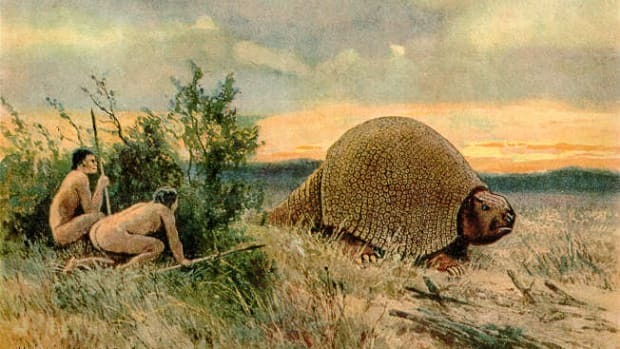 In their study, Reich wrote the team determined the initial migratory wave to Australia and islands to the north came before 44,000 years ago. 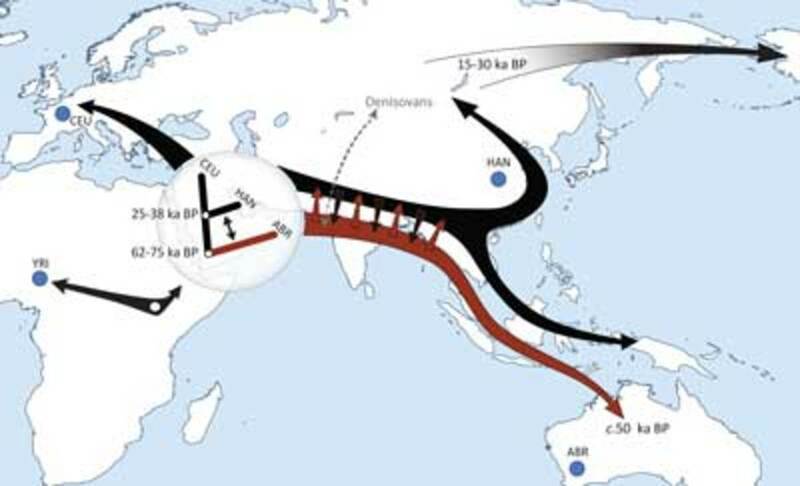 They inferred this by charting the genetics of the 33 populations from western Asia, through Southeast Asia, across islands and to Australia. In particular, they used genetic evidence of ancient interbreeding with a human ancestor, known as Denisova. This lineage - believed to have lived until 30,000 to 50,000 years ago - was initially based on a finger bone found in the Denisova Cave in the Altai Mountains of Siberia. Last year, in a discovery still hotly debated, Paabo, Reich and colleagues published two reports on the Denisova ancestor. [links] At times, they have portrayed it as a possible new Homo species. Others, like Willerslev, contend the genetic studies show it is a Neanderthal, possibly from an early population. The Harvard/Planck team compared the Denisova genome to the 350,000 genetic segments (called SNPs, for single nucleotide polymorphism) in the 33 populations. They found the Denisova&apos;s profile for the segments completely matched the Aborgines&apos; samples from northern Australia and those from Papua New Guinea. The Denisova profile was found in varying lesser degrees in populations from the Philippines through Indonesia and east to Fiji and Polynesia. Combined with known archaeological discoveries in the greater Australia region, they say the Denisova interbreeding in certain populations points to a migratory wave to Australia before 44,000 years ago. But critics — including Willerslev — fault this analysis. The interbreeding between Denisova individuals could have occurred earlier elsewhere in Asia or in Europe, he says, and there is no way to pin down the dates. Acknowledging the Denisova interbreeding is "not proof," Reich insisted the most rational explanation is for the interbreeding to have occurred in Southeast Asia. For the Danish-led study, the team used the SNP segments to compare with 1,220 genetic samples from 79 worldwide populations. They also sequenced the genomes of three Han — a population with one of Asia&apos;s oldest ancestries — for additional confirmatory tests on human dispersals; Chinese researchers from a large sequencing laboratory in Shenzhen were co-authors. Based on these analyses, "We estimate [Aborigines] split from the ancestoral Eurasian population" in the Middle East 62,000 to 75,000 years ago, they wrote. Then European and Asians split from that founding Middle East populaton 25,000 to 38,000 years ago, starting their exploration eastward then. As researchers step gingerly into the past to probe our genetic ancestry, there are signs of progress in addressing social and ethical issues. Without being told about the consent questions from today&apos;s two studies, Redd was asked if he would seek new consent to study older, stored genetic samples. "It might not work out, but you have to risk it," he said in explaining that he would. "If I didn&apos;t get approval, I wouldn&apos;t publish." As he still studies Pacific Rim populations, had he ever done so? Yes, indeed. While examining genetics links between southern Indian populations and Aborigines, Michael Hammer of the University of Arizona at Tucson went to Australia to successfully seek consent to re-use Warlipiri samples he and his team wanted to study anew. That article was published in Current Biology in 2002. 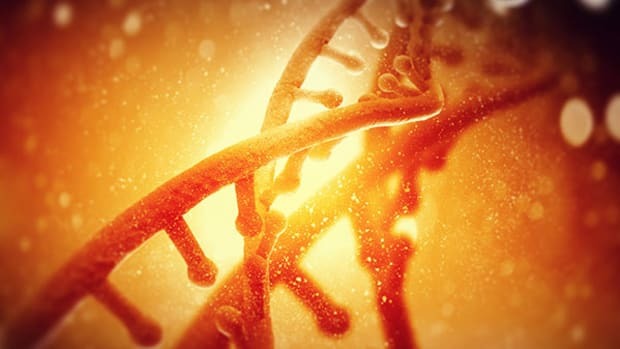 Do We Need to Be Protected From Our Genomes? Despite the FDA's recent ban on 23andMe's personal genome analysis, we still don't know how best to regulate personal genome information. For the first time, a tool allows researchers to identify the ancestry of the remains of children, which may help solve some forensic cold cases. Genetic studies of living Native Americans and ancient remains are revising our theories about America’s first inhabitants. 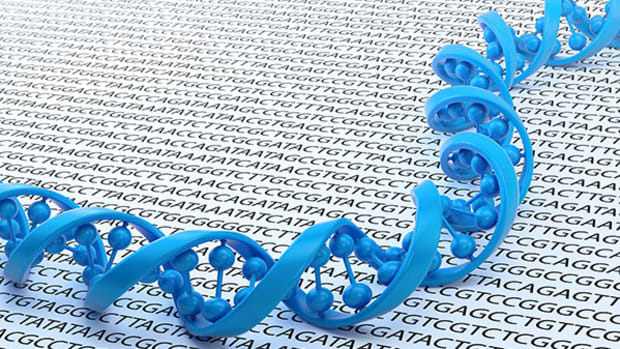 Genome theft is already a possibility, and that problem looks like it's only going to grow.